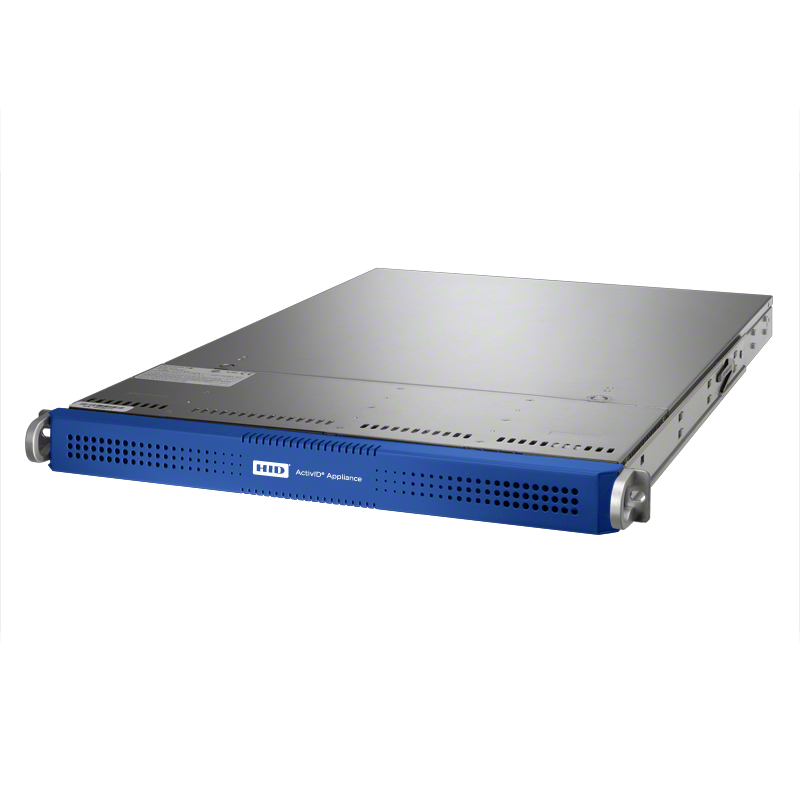 HID Global’s ActivID® Authentication Appliance is used worldwide to secure access to critical infrastructure and data so organizations can stay ahead of an ever-changing threat landscape without disrupting user workflow and productivity. The solution is easy to deploy, and helps achieve compliance with industry mandates, policies and guidelines. The ActivID Authentication Server supports multi-factor authentication with all leading mobile phones and tablets, and provides a flexible platform that can grow with changing needs. Built-in support for open protocols ensures that it can be easily integrated into any enterprise infrastructure, cloud based service and/or internet banking engine. It also supports advanced capabilities, such as the HID Approve™ app that enables mobile-based, out-of-band transaction verification. This feature leverages the mobile device “push” notification capability, and ActivID Threat Detection Service that transparently protects online transactions from a wide range of threats, including Trojan and man-in-the-browser (MitB) attacks. 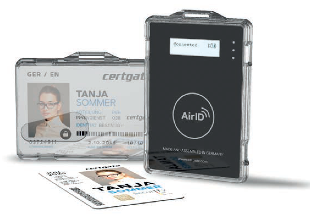 The ActivID® Authentication Appliance is the leading choice for organizations seeking a simple to deploy versatile multi-factor authentication engine. Genuine HID® credentials supported by the Authentication Server include the ActivID OTP Tokens, ActivID DisplayCards, ActivID ActivKey SIM, ActivID Web Token, ActivID PC Token, ActivID Mobile tokens for iOS, Blackberry and Android, Crescendo cards and pivCLASS® cards. Versatile: Supports a full range of multi-factor authentication methods include Device ID, hardware and software based One Time Password (OTP) tokens, PKI credentials, Out of Band (Mobile Push Notification, SMS or email) codes, and static credentials such as passwords, PINs and questions & answers. Configurable: Supports different policies by authentication method, user group and access channel. Interoperable: A full Web services based API, plus native support for SAML 2.0, RADIUS. Resilient: Redundant failover, enabling a pair of appliances to provide a highly available service, capable of scaling to hundreds of thousands of users. The EAS also supports user self-service interfaces. Depending on the selected authentication methods, the necessary administrative functions for key management and reference data import are provided. Sensitive date can be protected in a High Security Module (HSM). 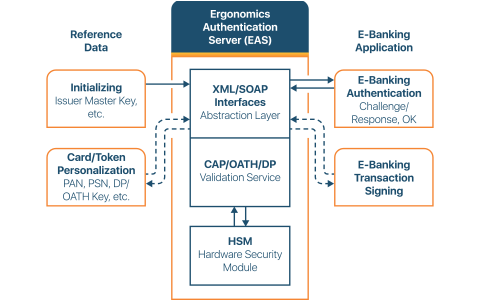 The drawing below presents an overview on the Ergonomics Authentication Server.